The Mini Classic CT is made with high quality parts and will last for several years with proper maintenance. Fortunately the maintenance is very simple and takes a matter of seconds to perform. First of all, it self sterilizes whenever water is boiling inside the boiling chamber. However, you should rinse out the boiling chamber after every use to remove leftover impurities. Every month, you should wash the boiling chamber to remove any solid impurities. Finally, the carbon filter should be replaced every three months. There are several benefits of using the Mini Classic versus other water distillers on the market. The water distiller is free from harmful materials since it is made out of stainless steel and the collection jar is made out of glass. This prevents your water from contacting plastics and getting exposed to toxins. The distiller is extremely quiet and you will only hear the soothing white noise from a cooling fan. Additionally, this distiller was designed to be in spaces as small as a motorhome so it is compact and does not take up much room. 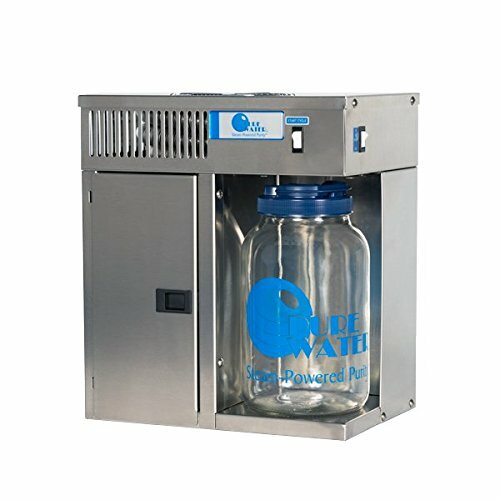 Finally, the Mini Classic CT water distiller has a 15 year warranty so you can have peace of mind that it will last for years. The Mini Classic CT Countertop Water Distiller is a great addition to your kitchen or motorhome. It is made from high quality materials and manufactured in the USA. Additionally, the water distiller comes with a 15 years warranty and will provide clean water for years. You can purchase the Mini Classic CT Water Distiller through Plant Based Pros and enjoy distilled water today!